At first glance, it is clear to see that the I.D. R Pikes Peak has been developed for extreme conditions. 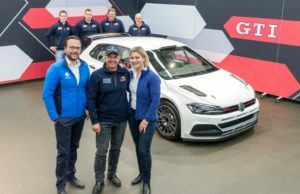 The aerodynamic aspect of Volkswagen’s first fully-electric racing car is also uncompromisingly designed to tackle the most famous hill climb in the world. “The start line is located at an altitude of almost 2,900 metres, with the finish at 4,300 metres above sea level. 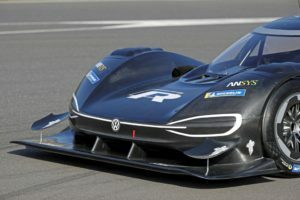 The low air pressure up there means that the aerodynamic conditions are different to those at a racetrack on flat land,” explains François-Xavier Demaison, Technical Director at Volkswagen Motorsport and the man responsible for developing the I.D. R Pikes Peak as project manager. The relatively open regulations gave the engineers far more leeway, with which to design the chassis and rear wing of the I.D. R Pikes Peak, than in other racing disciplines. This is relatively low for a prototype like the I.D. R Pikes Peak, as it could theoretically do far more than this. “For this reason, we concentrated mainly on achieving optimal cornering speeds. 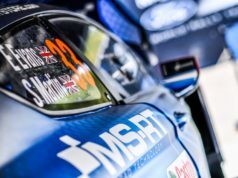 The entire chassis is designed to generate as much downforce as possible, without causing too much aerodynamic drag,” says Demaison, summing up the task facing his team. Volkswagen Motorsport used a scale mode (1:2) to test a host of different variants of the Pikes Peak racer in the wind tunnel. The final touches were then put to a full-size chassis in the Porsche development centre in Weissach. “It was greatly beneficial to be able to use resources from within the group,” confirms Demaison. New components often appeared quickly from a 3D printer. “We printed about 2,000 parts. 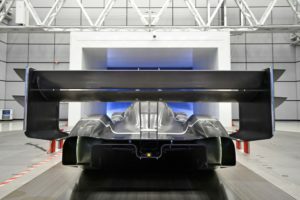 In doing so, we saved a lot of time,” says Dr. Hervé Dechipre, who, as a CFD engineer at Volkswagen Motorsport, is responsible for the aerodynamics on the I.D. R Pikes Peak. The electric engine on the I.D. R Pikes Peak does need to be cooled efficiently. However, the need for fresh air is far less than in the case of a combustion engine. Furthermore, it is not necessary to guide any intake air to the two electric engines, which together generate 500 kW (680 PS). This made it possible to reduce the size of the necessary inlet ports in the chassis. They are always a big drawback from an aerodynamic point of view. In contrast, the thin air at altitude has a negative effect on the efficiency of the cooling. In the meantime, the findings from the development phase have been optimised in great detail in comprehensive tests. 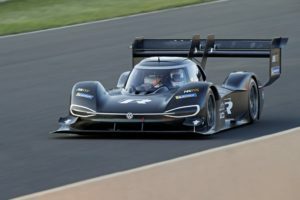 The first test run on the original route in the USA is planned for the end of May. 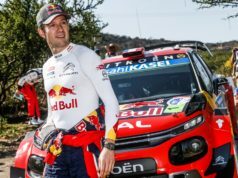 Driver Romain Dumas and the Volkswagen Motorsport team then begin the final phase of their preparations for the “Pikes Peak International Hill Climb 2018” on 24 June. The goal is to break the record in the class for electric prototypes, which currently stands at 8:57.118 minutes. Prick up your ears, turn up the volume and enjoy Volkswagen’s latest and fiercest beauty: The Volkswagen I.D. R Pikes Peak.